Oh muffins, how do I love thee? Let me count the ways. You are tasty, warm, healthy little treats that can be whipped up in a flash, making those miserable, cold mornings so much brighter. I have even been known to pop a batch of homemade muffins into the oven on a busy morning before dropping the kids off at daycare and heading to work. And I'm not an early riser by any means. Just mix the batter together in under 10 minutes and pop them into the oven while you take your shower. Your efforts will be so worth it come break time! 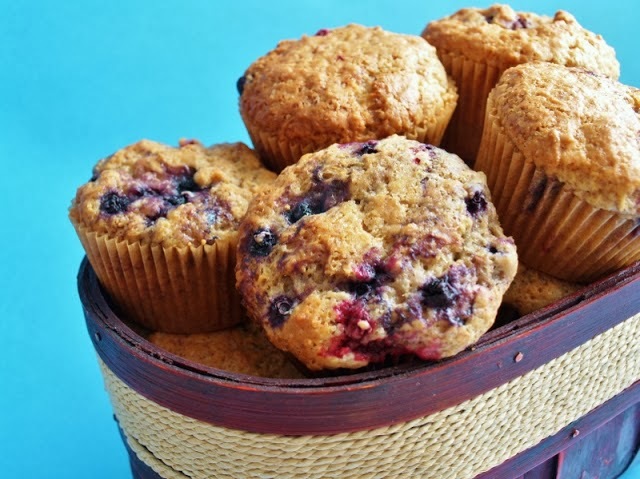 Now that I work from home, I confess I am often tempted away from my desk to make up a fresh batch of muffins for my mid-morning snack or an afternoon pick-me-up. 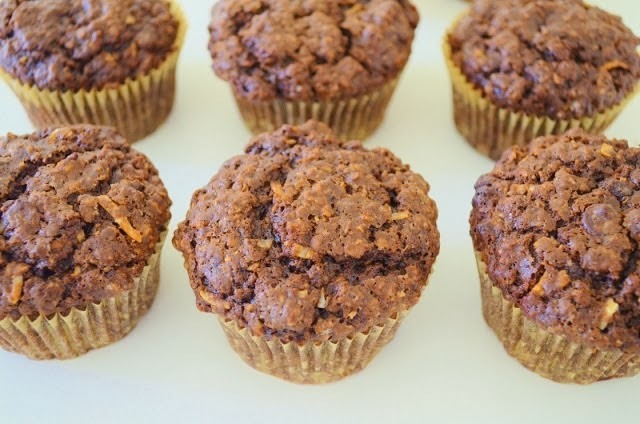 Here are 6 of my favourite easy, vegan muffin recipes. I almost always use light spelt flour for my muffins, but you can certainly substitute other types of flour. Enjoy! 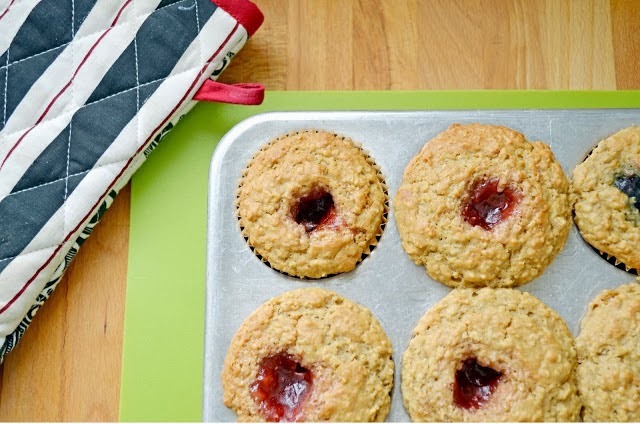 Healthy oats, a hint of nutmeg and a nice, sweet hit of jam. Need I say more? 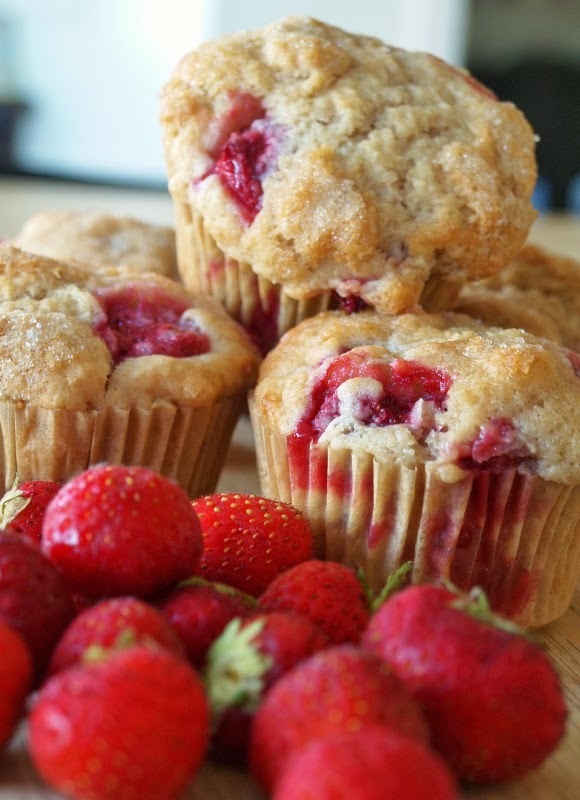 Increase your fruit consumption in a most pleasant way with these delicious muffins. The "secret" ingredients include soy yogurt, blueberry applesauce and ground flaxseed. I make many variations of banana muffins. Most of them include chocolate chips. What can I say? I like chocolate. These Spelt Banana Chocolate Coconut Muffins are made with healthy coconut oil, quick oats and a little bit of non-dairy chocolate milk. 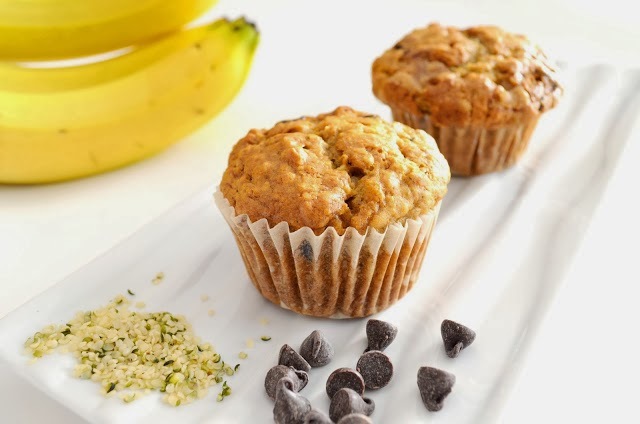 Another variation of my favourite banana muffin recipe, this time with the addition of hemp hearts for a healthy dose of essential fatty acids and protein. 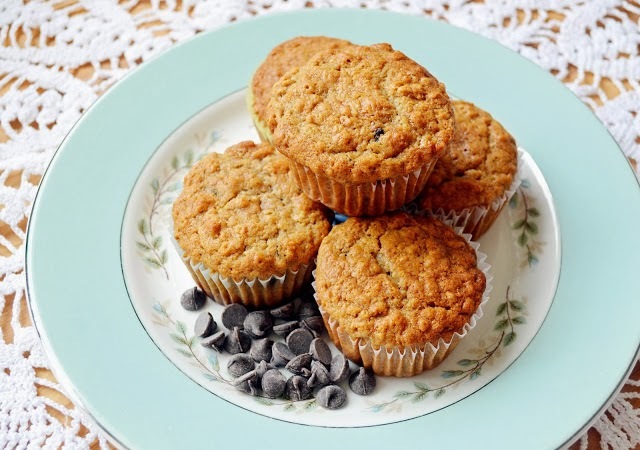 Yes, more muffins that feature chocolate chips. 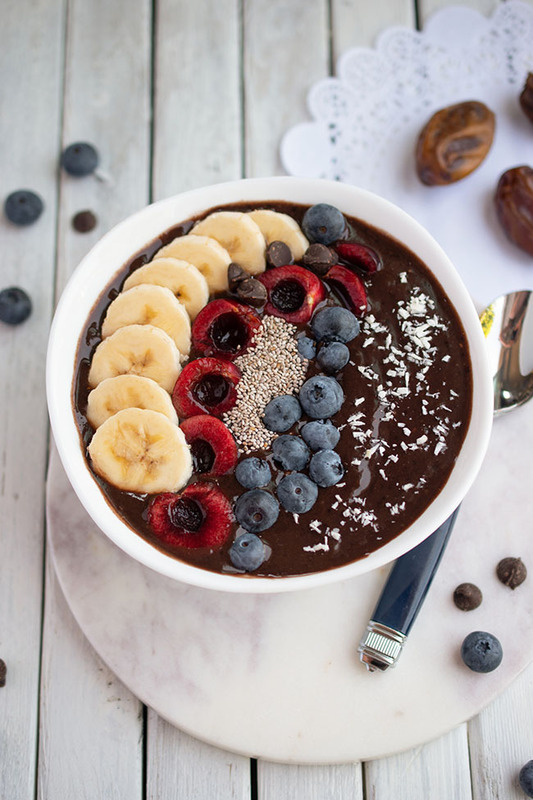 Plus, cocoa for a double chocolate hit and shredded coconut for extra flavour and sweetness. Yum. 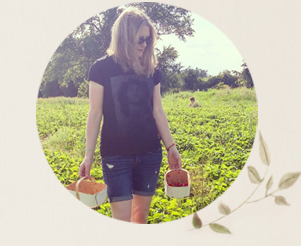 This recipe is a necessity for me during strawberry season. I get so carried away picking fresh strawberries at the local chemical-free strawberry farm that I come home with way more strawberries than we can reasonably use. 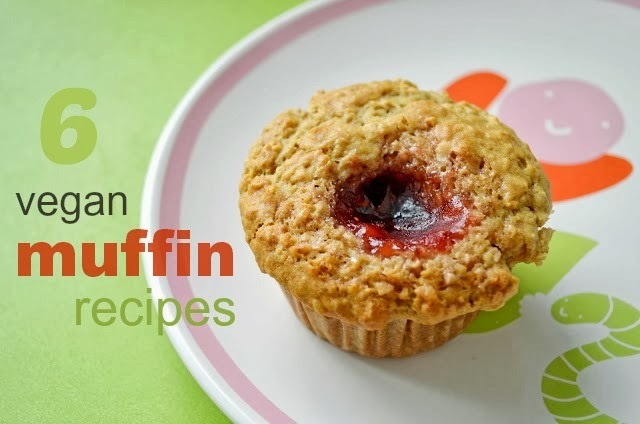 Muffins are an easy and tasty way of taking care of that problem! What's your favourite kind of muffin?